HUECU proudly supports financial wellness and will be represented in a number of these workshops. 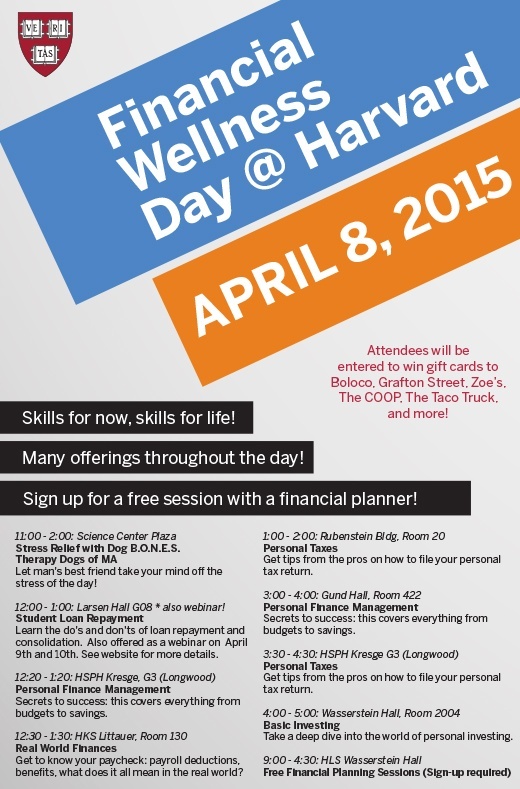 The workshops will include everything from student loans, to personal taxes and investing, Financial Wellness Day has something for everyone! Attendees will be entered to win gift cards to Boloco, Grafton Street, Zoe's, The Coop, and more! To register for pre-registration workshops and other details about Financial Wellness Day @ Harvard click on the link and see full schedule below.